Roses are red, violets are blue, primroses are yellow and leaves are green! Well not always. 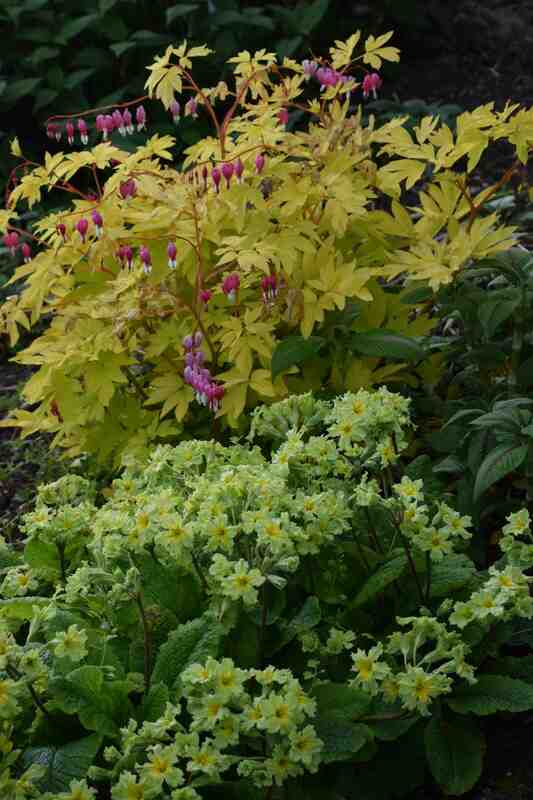 Here are two plants that I blogged about last year: Lamprocapnos spectabilis ‘Goldheart’ and primula ‘Francesca’, but now they have had a year to settle they can be shown as a pair. No it’s not another case like ‘that’ dress – they really do have green flowers and yellow leaves. Do not adjust your set.